On April 13, the U.S. intervened in five lawsuits against Insys Therapeutics Inc., which all accuse the company of violating the False Claims Act in regard to its opioid painkiller, Subsys. The painkiller is a sublingual spray form of fentanyl, an extremely potent and addictive drug. Fentanyl has made the news in recent years as a replacement for heroin and other illegal street drugs, which has led to an increase in drug overdoses. Fentanyl analogues are hundreds of times more potent than heroin, and thousands of times stronger than morphine. Considering the risk of addiction and dependence on opioid painkillers, and the risk of death, the government takes accusations of improper marketing and prescribing of the drug seriously. 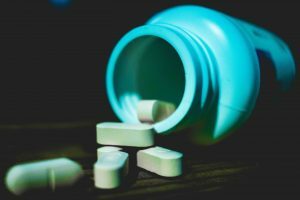 If you are aware of illegal activity regarding opioid drugs at a doctor’s office or medical facility, contact an experienced San Francisco health care fraud lawyer at Brod Law Firm today. Not only may the activity be a crime under California or federal law, it may also give rise to a civil claim. In the lawsuits, the plaintiffs and the U.S. believe that Insys paid illegal kickbacks to physicians and nurse practitioners in order to get them to prescribe Subsys to their patients. These kickbacks includes expensive meals and entertainment, fake speaker payments, and jobs for the providers’ friends and relatives. Not only did Insys utilize illegal kickbacks, the U.S. also believes it encourage physicians to prescribe the drug inappropriately, to patients who did not have cancer. Subsys was approved by the U.S. Food and Drug Administration in 2012 to be used for persistent breakthrough pain in adults with cancer who were tolerant to around-the-clock opioid drugs. In relation to prescriptions to patients without cancer, the U.S. believes Insys employees lied to insurers about patients’ diagnoses to obtain reimbursement for Subsys prescriptions, which had been written for Medicare and TRICARE beneficiaries. If you know of a physician improperly prescribing opioids or receiving kickbacks for prescribing a certain drug, contact a San Francisco health care fraud attorney at Brod Law Firm immediately. You may have the right to file a qui tam suit under the False Claims Act on behalf of the government. If your allegations and evidence lead to a positive outcome for the government, you may receive a portion of the settlement or court award.